Dublin is a lovely Columbus suburban city, located in three Counties (Delaware, Franklin, and Union), central Ohio. It is a very popular destination for golf aficionados. Not only Dublin hosts every May/early June the Memorial Tournament (part of the PGA Golf Tour), but it is also home to many beautiful golf courses and clubs, including the Tartan Fields Golf Club and the Country Club of Muirfield Village. 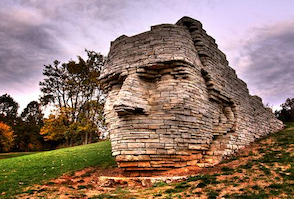 As it name implies, Dublin, OH is a city with a strong Irish heritage. Thus, St. Patricks Day and the Dublin Irish Festival are celebrated with passion here and act as a great pole of tourist attraction. 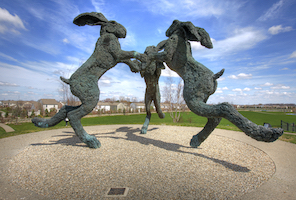 A few of the top Dublin, OH tourist attractions include the Giant Dancing Rabbits of Ballantrae Park, Indian Run Falls, Field of Giant Corn Ears, Leatherlips Monument, and the Dublin Arts Center Gallery. Regarding budget accommodation, there are more than 20 discount hotels worth checking in Dublin, OH.